Fill a glass with the juice drink and seltzer. Top with the ice cream. Flavor Variation: Rainbow Splash® Soda: Use Diet V8 Splash® and seltzer or sparkling mineral water. 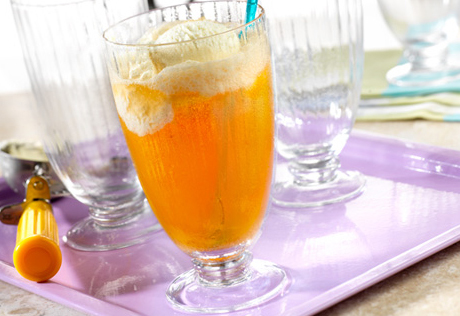 Top with small scoops of lime, raspberry or lemon sorbet.